Rothesay Castle dates from the early 13th century. 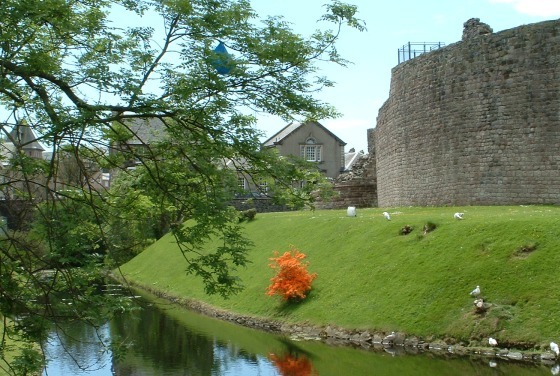 It stands directly in front of the Bute Museum so visitors can take the opportunity to visit the castle and then come up to the museum and see some of the artefacts that were found there. Rothesay Castle with Bute Museum in the background. Rothesay Castle has a fascinating history. Probably begun by Walter, the third Steward, it was attacked by Vikings in the 13th century. It became a royal residence to Robert II (1371-90) and his son Robert III (1390-1406), later James IV(1488-1513) began building the gatehouse which was finished by James V(1540-1542). From 1650-59 Cromwellian troops were garrisoned there. In 1685 the castle was burned by the Duke of Argyll and left a ruin. In 1816-1818, the Second Marquess of Bute employed 70 men to excavate the ruins and repair the vault. The Third Marquess resumed the work in 1871. During excavation and clearance work, a number of items were found which are now in the museum. These give a picture of what life was like inside the castle throughout its history. Graham Taylor making a replica of the green glazed jug in the museum’s collection. 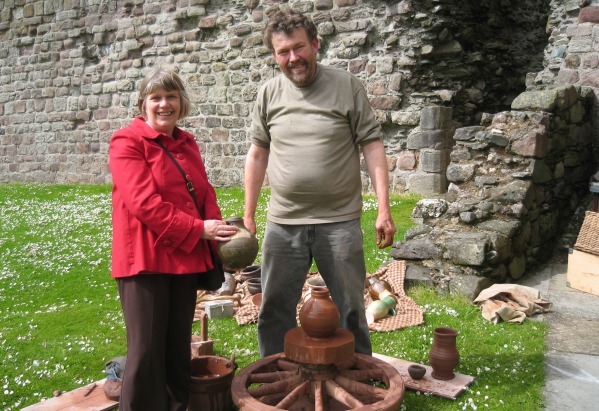 This was part of an event at Rothesay Castle showing how medieval craftsmen worked. Items in the collection include part of the original oak bridge, which had been burned, a Cromwellian sword, a medieval green-glazed jug, weapons, cannon balls and tools. 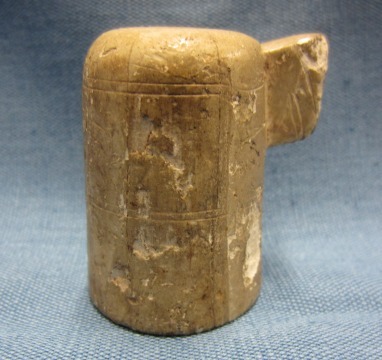 A very rare survivor is an early chess piece, probably a knight.